ST-I will provide ST’s SiGe:C BiCMOS process for IC chip set fabrication, design support for D-band related ICs and the Design Platform for CAD activities. 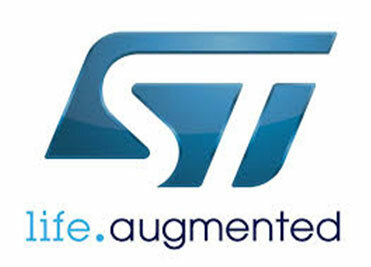 ST-I will contribute to system, sub-system and components specification definitions. As industry partner and being member of ETSI mWT ISG will provide inputs for wireless small cell market analysis, standardization studies and requirements. ST-I will contribute to the project demo set up and contribute to project management by mainly leading the D-band radio design Workpackage. ERZIA will be leading WP4 and in charge of the platform integration and the subsystem validation. To accomplish this goal, ERZIA will collaborate with CEIT in the design of the power supply and microstrip matching circuits and in the demonstrator assembly and test. ERZIA will also work with VTT to design the matching circuits for antennas and the LTCC designs and processing. ERZIA will also collaborate with ALU-I in the design of Base band interface and in the Integration and functional test of the complete unit. ALU-I is leading WP1 with defining specifications and architecture of radio solutions, leading WP5 with responsibility for building a proof of concept demo. ALU-I contribute in WP6 with the standardization and regulation aspects, leading the specific task in this WP.